With the return of founding member Gyða Valtýsdóttir, Iceland’s múm have crafted an album in Smilewound that’s as fresh and sharp as their 2000 debut Yesterday Was Dramatic – Today Is OK.
múm rely on an electronic base where only slight percussion and strings make their presence known like in the opener “Toothwheels.” The types of beats vary – ranging from tin-tones and bell chimes, to the beeps, blips, and glitches that result in a playful atmosphere. “One Smile” is a full-on display of intricate polyrhythmic melodies that intertwine with a plucked bass and swift strings. “Eternity Is The Wait Between Breaths” and “The Colorful Stabwound” are simpler yet exquisite. The melodies are unique to the point where múm could create their own form of pop music. 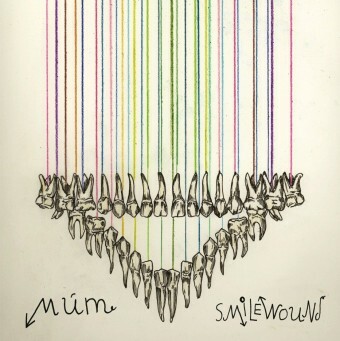 With Smilewound, múm have shown that they’re one of the few bands to make an album that’s destructively beautiful.